It’s Christmas Day in the Long House! 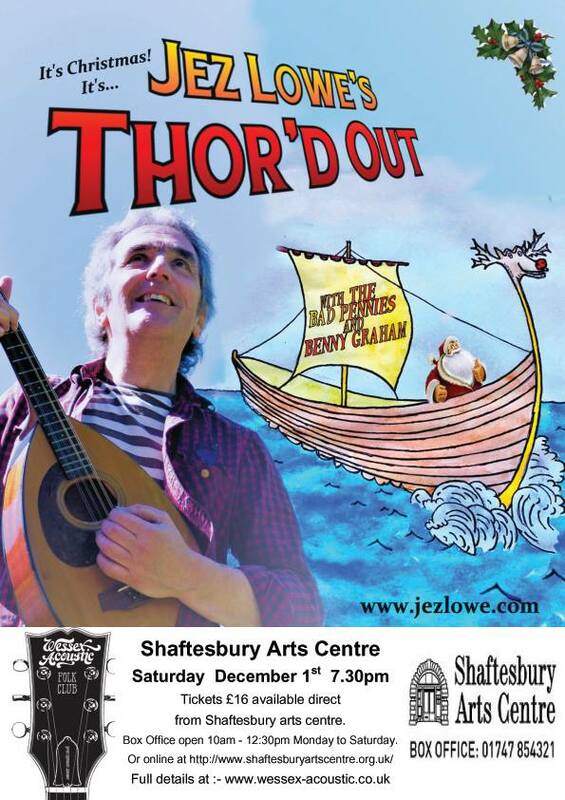 Join Jez Lowe and The Bad Pennies, as they shelter from a Viking winter, huddled around the roaring fire beneath the rafters of the Great Hall. Jez’s annual Christmas tour has become quite a tradition in recent years, striking out from their native North East England to entertain audiences across the whole of the UK. This year, the band once again invites special guest, Benny Graham, to join them on a journey across the Great North Sea, to share the songs and tales of the Northlands. Part folk concert, part music-hall revue. Sing along, laugh along, and drive the cold winter away. Watch out! The long ships are sailing up the Tyne! Tickets £16 each available online at www.shaftesburyartscentre.org.uk or by calling the Arts Centre Box Office 01747 854321. Concessions available.